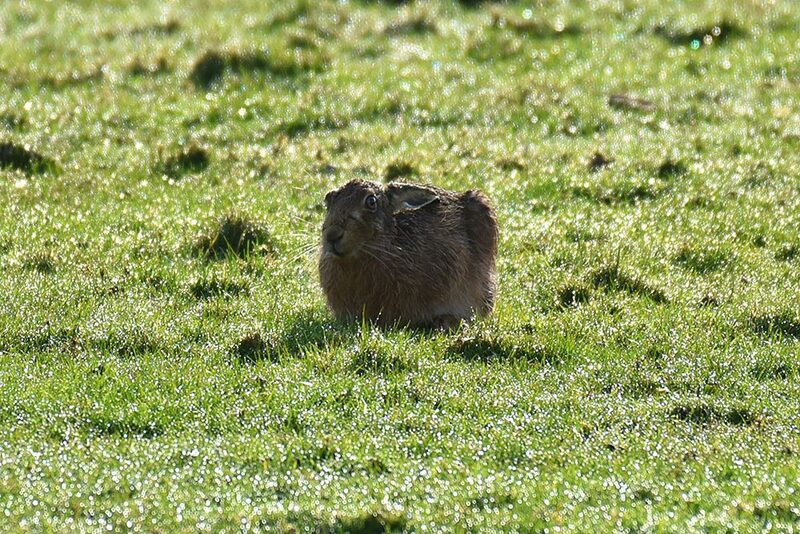 A Hare enjoying the sunshine in a field still glistening with the raindrops from a recent rain shower. 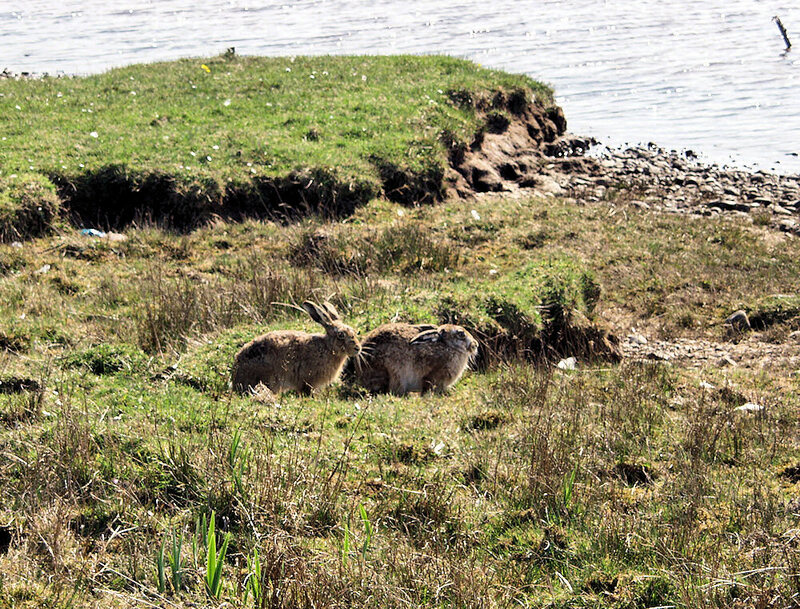 Taken on an April afternoon on Islay many many Moons ago, two Hares resting on the shore of Ardnave Loch. 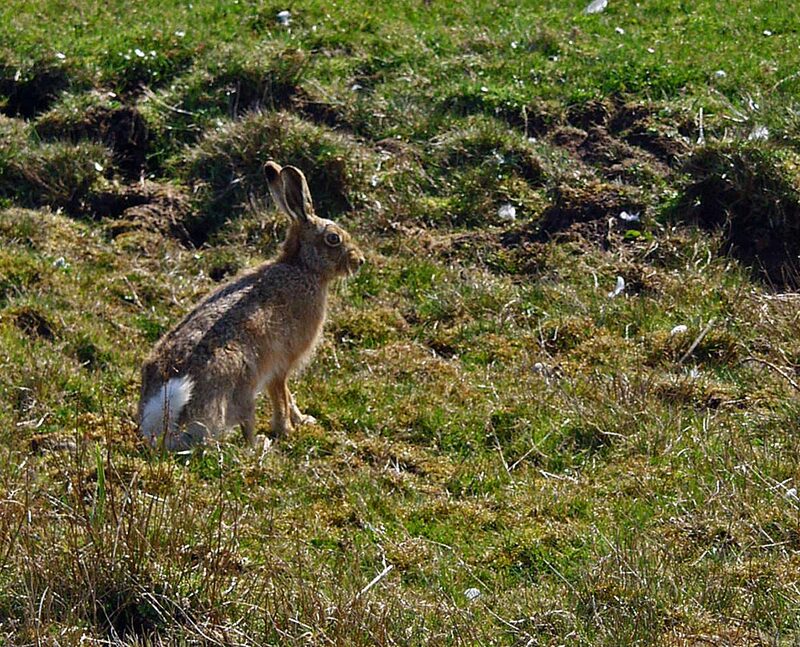 A Hare sitting in the rough grassland next to Ardnave Loch. Picture taken at Easter 2003.